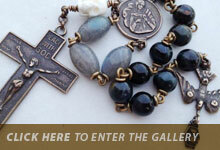 ~ a traditional style with One Our Father and Ten Hail Mary beads. 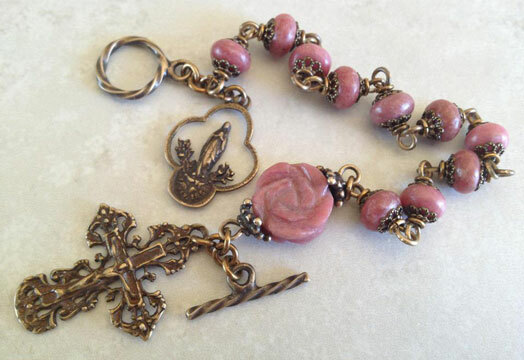 ~ a new style that has One Our Father and Ten Hail Mary beads, but between the 3rd and 4th Ave bead there is a little rosary centre, which adds a visual focal point when wearing it as well as enabling the rosary bracelet to be used very effectively for the rosary, Divine Mercy chaplet and Seven Sorrows devotions. 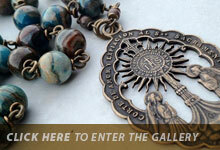 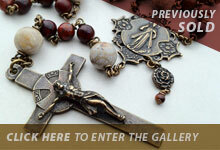 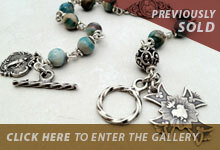 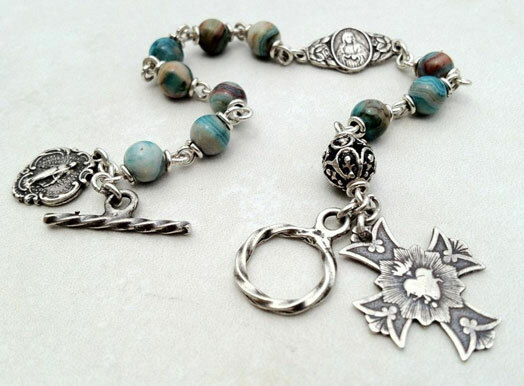 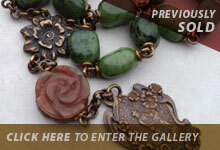 to visit my current ROSARIES GALLERY now for sale. 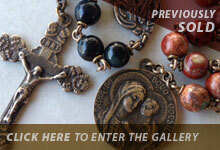 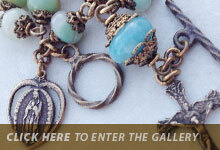 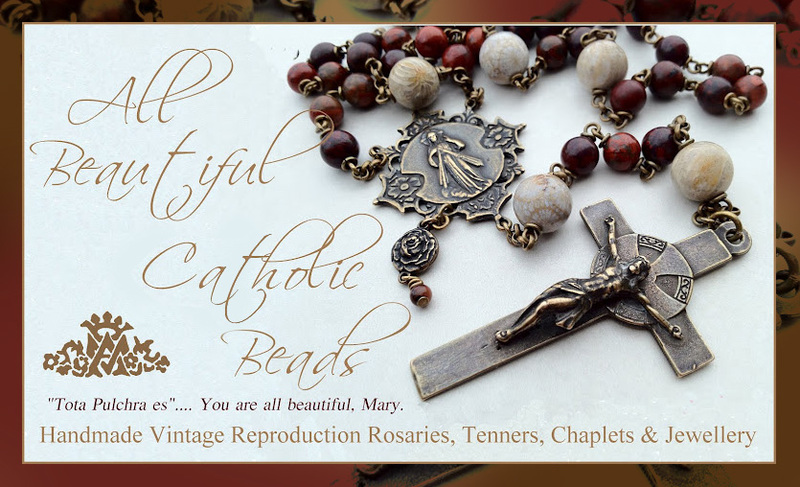 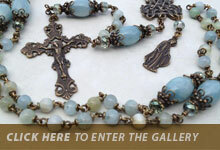 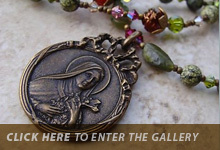 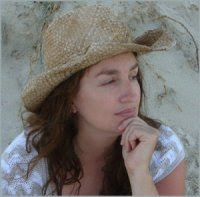 to visit my PREVIOUSLY SOLD ROSARIES GALLERY. 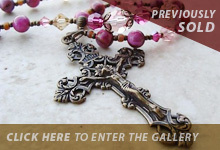 if you are interested in me custom designing a rosary for you.